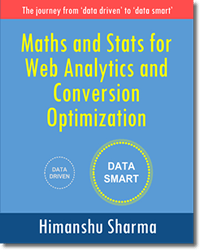 I have used many analytics tools over the years from statcounter, clicky, kissmetrics, mixpanel to expensive solutions like ‘Adobe Analytics’ (formerly called ‘SiteCatalyst’) and ‘Coremetrics’. Most of these tools don’t hold a candle to Google Analytics in terms of features and usability and the one which do, are just too difficult to use. 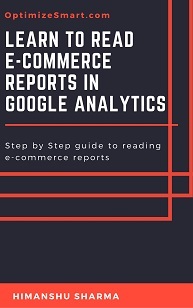 In order to really understand and appreciate, how easy it is to use Google Analytics, I would suggest taking what I call ‘Adobe Analytics’ challenge. Use Adobe Analytics for a week or two and try to perform all of the tasks, you usually carry out in GA.
Let me know, if you don’t find yourself calling their customer support every day or two just to perform seemingly simple tasks like applying an advanced segment to a report. There is no doubt, Adobe Analytics is very robust, infact it is way too robust for a mortal man. You don’t really need to run a supercomputer to apply an advanced segment to a report. If you can not use the tool easily then what is the point. One tool that stands out from the Google Analytics alternatives crowd is ‘Matomo‘ (formerly called ‘Piwik’). This tool without a doubt, is a serious contender of Google Analytics and serious threat to Google Analytics premium (analytics 360). 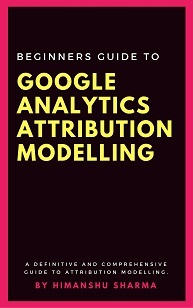 I use this tool in addition to Google Analytics. My primary reason to use Matomo is to get the unsampled data, though it provides many other benefits over GA like full ownership of the analytics data. If you have read the article Understanding Data Sampling in Google Analytics, you already know how damaging data sampling can be for your analysis. 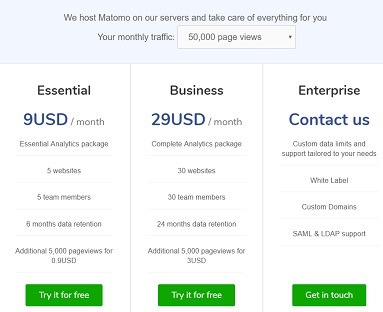 If your website gets lot of traffic (millions of pageviews a month) and you can’t afford an enterprise level tool like GA premium (analytics 360) then Matomo is your best choice. I would even go ahead and say, why spend $150k a year (even if you can afford to) on GA premium, if there are better cheaper alternatives available. Surprisingly, many GA premium customers I have talked to, have not heard of Matomo and when they do, they are literally shocked to know that it has no data sampling limit, no limit on data storage and collection and above all, they can actually own their analytics data and all that for free or minimal cost. Yes. That’s the annual cost of using GA premium. Your client (aka a business) see the cost more than anything else. No matter how big your client is, $150,000 per year cost on an analytics solution is not something which can be conveniently ignored. You can hire two web analysts full time for this cost which would help you much more in improving your business bottomline than paying for a tool which nobody really know, how to use it, to its full potential. Remember, any analytics tool/solution (no matter how robust) can not provide any useful actionable insight on its own. You need people, really smart people for data interpretation. So when it comes to investing between a tool and an analyst, invest first in an analyst. Matomo is the tool which let you invest more in people even at the enterprise level. 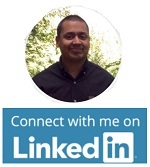 What is Matomo Analytics (formerly Piwik Analytics)? #1 Matomo has no data storage and collection limit, if you are hosting Matomo instance on your own web server or hard disk. #2 There is no limit on the number of goals, transactions and pageviews you can track. #3 No limit on the number of websites you can track. #4 No limit on number of user accounts, scheduled reports and the amount of data you can export. #5 Because Matomo has got plugin architecture and open marketplace, it provides endless customization of its platform. #6 Matomo has got no data sampling issues. You get 100% unsampled data. This is what I like the most. 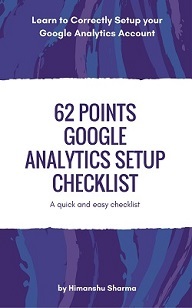 #7 You have complete ownership and control over your analytics data. Nobody other than you, can access your data not even anonymously. This is not the case with Google Analytics. Moreover if you violate Google TOS, Google can terminate your GA account and you can loose all of your data overnight. You can choose to track personally identifiable information (PII) like visitors’ names, email addresses, IP addresses etc in your Matomo reports. Google doesn’t allow tracking PII. #9 Matomo provides option to white label its platform through ‘white label plugin’. Through this plugin you can re-brand Matomo for personal/commercial use. For example you can use own color and font scheme, add your business logo etc. #10 You can use Matomo enterprise services (training, consultation, custom development etc) for very low cost (comparatively). Google provides these services only to GA premium customers for which you would have to pay $150,000 per year. So for majority of users who use GA, professional services and dedicated support is simple out of reach. #11 Matomo allow you to track more than 50 custom dimensions in the visit scope and more than 50 dimensions in the action scope. The length of a custom dimension value can be up to 255 characters long. Whereas in Google Analytics you can use maximum of 20 custom dimensions and 20 custom metrics. If you want to use more than 20 then you need to switch to GA premium. The ‘Matomo On-Premise’ is the free version of Matomo. However there is a hidden cost associated with using this free version. You would be required to set up, configure and maintain Matomo on your own and on your own web server. So you would need development resources. Just download the ‘Self-hosted Matomo‘ installation file from here https://matomo.org/download/ and then follow the installation instructions mentioned later in this article. The self-hosted Matomo is also a light version of Matomo with many features and functionalities not available by default. If you are hosting Matomo on your own web server(s) then there is no data storage limit. You can store as much data as your infrastructure can support. If you are using Matomo servers to host your Matomo instance (cloud hosting) then the upward data limit is 500 million actions per month (‘actions’ are like ‘hits’ in Google Analytics). Through Matomo you can track almost anything you can track through Google Analytics. 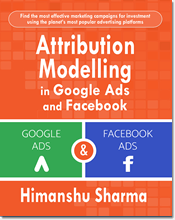 The one area where Matomo is still far behind than GA is attribution modelling. 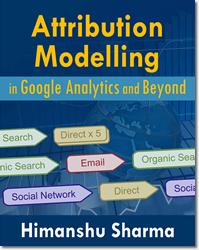 In fact no analytics tool can compete with GA on attribution modelling at present. You can integrate Matomo with almost all popular shopping carts (Shopify, Magento, opencart, prestashop, zen cart, oscommerce, woo commerce etc) and set up ecommerce tracking. Matomo can work on variety of platforms from: PHP, Android, IOS, C#, Ruby, Node.js to Microsoft Silverlight. Check out the integration module for more details. For custom integration you would need to use ‘Matomo Analytics for Enterprise’. 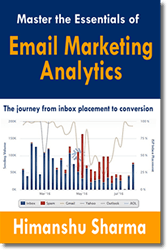 Unlike Google Analytics, Matomo also provide ‘Server Log analytics’ and ‘Intranet Analytics’. Through log analytics you can report on server errors and reprocess historical data. Intranet (unlike internet) is a local/internal network generally used by large organizations in the Govt, Education and Financial sectors. Through Matomo you can measure how intranet traffic is using your website(s). This is particularly useful for colleges and universities where students regularly use the intranet to consume contents and interact with faculty and other students. Unlike GA, Matomo provides lot of customization of its analytics platform through its own plugins. and through its ‘Enterprise’ plan. If you do not want to setup, configure and maintain your infrastructure for Matomo then you should consider using the ‘Cloud-hosted Matomo’ which is a paid service. You will be charged based on the total number of pageviews tracked across your websites and mobile apps, and number of other features provided under different price plans. Row evolution – view and compare historical data. Transitions – analyze the previous and following actions of your visitors. All websites dashboard – way to get an overview of what is happening on all your websites at once. Exportable widgets – used to embed Matomo reports in other websites or apps. 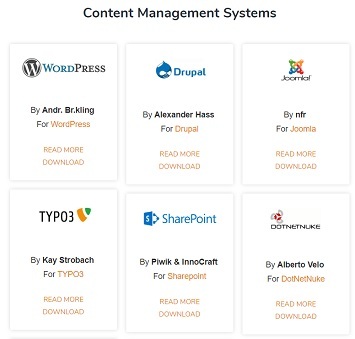 Integration with 100+ technologies including integration with CMS, shopping carts, CRM, forums, webmails, programming language, platforms and frameworks. Matamo provides free 30 days trial (no credit card required) for both of its ‘Essential’ and ‘Business’ plans. #1 ‘Matomo On-Premise’ is a free to use service. Whereas ‘Matomo Cloud’ is a paid service. #2 ‘Matomo On-Premise’ is self hosted analytics solution. So you would need to host Matomo on your own web server. Whereas ‘Matomo Cloud’ is cloud-hosted analytics solution. So your Matamo analytics is installed on the Matamo’s web server (and not yours). #3 Matomo’s web server is based in France and follows EU laws for the Cloud service. So if you used the ‘Matomo Cloud’ service then you can not choose the country where your data is stored. If you want to store data in your chosen country then use the ‘Matomo On-Premise’ service. #4 If you use ‘Matomo On-Premise’ service, you can download your data for free. 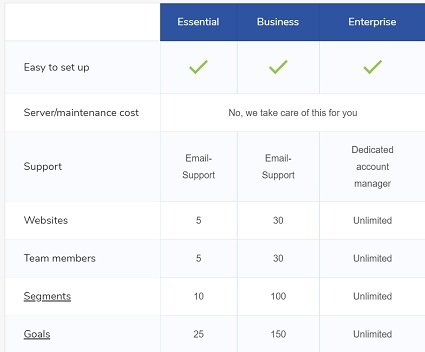 Whereas if you use ‘Matomo Cloud’ service then you would need to pay certain fees per month. 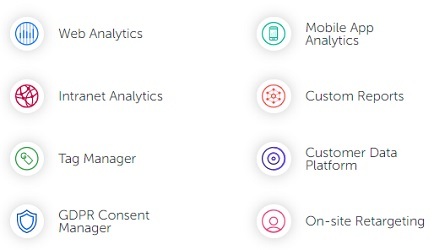 #5 ‘Matomo On-Premise’ analytics solution is fully customizable. Whereas ‘Matomo Cloud’ analytics solution is fully customizable only when you use their ‘enterprise’ plan. #6 ‘Matomo On-Premise’ analytics solution comes with no data retention limit. 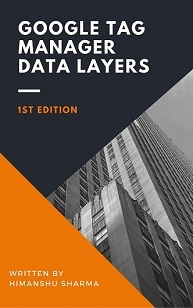 You can store as much data as your infrastructure can support. ‘Matomo Cloud’ comes with data retention limit unless you use their ‘Enterprise’ plan. #7 Setting up and maintaining ‘Matomo On-Premise’ analytics solution is not easy and require good technical knowledge or access to developers. Whereas setting up ‘Matomo Cloud analytics solution is relatively easy. Use this service, if you want to store all of the analytics data on your web server but you need deployment, customization and maintenance support from Matomo on a ongoing basis. Matomo for enterprise service is ideal for Government, Financial and Educational institutions where data privacy and ownership is of great concern. The pricing depends upon your requirements and infrastructure. So there is no fixed price and you would need to request a quote. 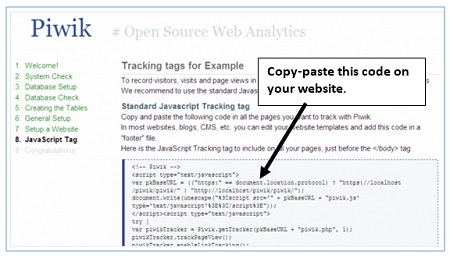 It is just like ‘Google Tag Manager‘ and use the concept of tags, triggers and variables. 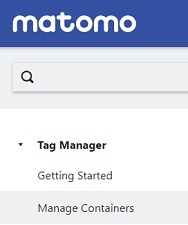 Matamo tag manager is available both for ‘Matomo On-Premise’ and ‘Matomo Cloud’. However it is not as good as GTM in terms of features and functionality. How to install ‘Matomo On-Premise’ on your website server? Unfortunately installing ‘Matomo On-Premise’ is not as easy as installing Google Analytics. Step-1: Check whether your web host meet the minimum requirements to run Matomo. Step-2: Setup a new MYSQL database for installing Matomo. You can also install Matomo in the existing database but that could really slow down your website. If you are hosting your website on private cloud then launch a new server just for installing Matomo. That is because collecting statistics is very resource demanding, and it will end up slowing down your main server’s database. You need to isolate the statistics script, from your live sites… maybe start with a small machine and see how it goes. Contact your web host for more details regarding setting up a new database. If your web host has set up the new database for you then get the database information from them. You would need this information later, while installing Matomo on your website. Step-4: Download the latest version of Matomo from https://matomo.org/download/ and then unzip the file on your hard disk. It is important that you use ‘binary’ mode to upload Matomo files. Otherwise you will get error during installation. Step-6: Upload the Matomo files (in binary mode) to your desired location on your web server. Step-7: Once the upload is complete, navigate to the piwik folder on your server in your browser window. For example if you uploaded piwik files at: www.mysite.com/piwik then enter this URL in the browser window. If there is some problem with the piwik files upload then you will see the error message. If there is no problem with the upload then piwik will do the ‘system check’ to make sure that your web server meets the piwik minimum installation requirements. 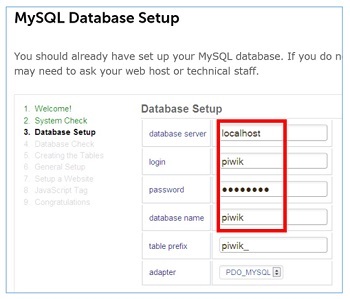 If everything is ok then you will proceed to set up database otherwise piwik will identify the issue and tell you how to fix it. Leave the value of ‘table prefix’ field and ‘adapter’ field intact. Step-10: After filling this form, click on the ‘next button. Piwik will now add necessary tables to your database. Step-11: Once the tables are set up, click on ‘next’ again in order to set up the ‘super user‘ account. Super user has the highest permission and can perform administrative tasks like adding new users, assigning permissions to users, adding new websites to track, adding plugins etc. Note: There can be only 1 super user per piwik instance. Note down this login information, as you will need it later when the first time you log in into piwik. 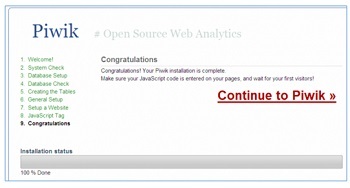 Step-14: Once you have added the piwik tracking code on your website, click on the ‘next’ button to verify your installation. What is Piwik Pro and how it is different from Matomo? Piwik is a company which was founded in 2007 in New Zealand. 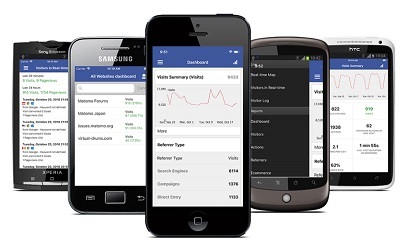 They started as a free open source alternative to Google Analytics. Then Piwik core team joined up with a team in Poland around 2012 (now operating under the business name ‘Piwik Pro’), to provide paid analytics solution to businesses. This paid service was branded as ‘Piwik Pro’. Later on due to differences in opinion of where the brand ‘Piwik Pro’ should go, the Piwik core team left ‘Piwik Pro’ to set up again in New Zealand and re-branded themselves as ‘Matomo’. So now Matomo and ‘Piwik Pro’ are completely different companies with their own teams and different websites. Piwik pro is not an open source analytics platform and it does not contribute anything to the Matomo project. However both Piwik Pro and Matomo seem to be competing with each other, as their services and offering overlap. Both offer cloud and on-premise analytics solutions and both cater for enterprises. 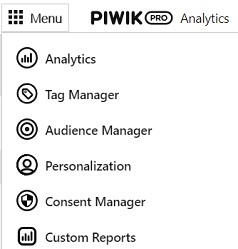 Piwik pro is an analytics suite. Use this service if you don’t want to store and maintain piwik on your infrastructure. The advantage of using Piwik Cloud service is that your Piwik instance will be hosted on Piwik servers + you will get access to technical support, premium plugins and other Piwik Pro services. You can track as many websites as you like with your Piwik cloud instance. If you think certain functionality is missing from your Piwik cloud instance, you can hire a Piwik Pro expert who can develop a custom plugin which extend the Piwik functionality in a way that meets your specific tracking/reporting requirements. 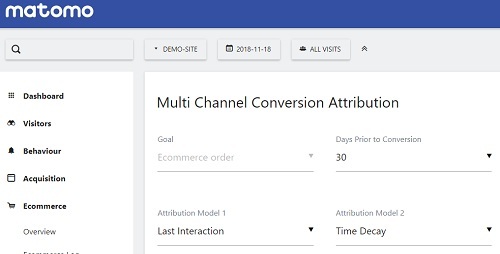 integrating Piwik with your CRM and ecommerce platform. The business plan comes with free 30 days trial. You would need to request for the free trial. 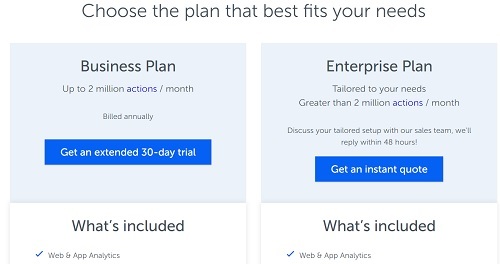 You can request a free trial for one of the tools or the entire suite. Once your Piwik Cloud trial period is over, your monthly payment would be calculated based on the number of actions recorded for your website in the last one month. 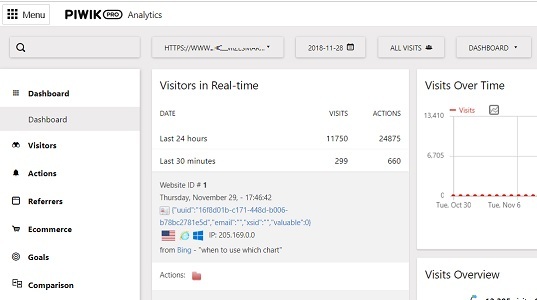 Actions in Piwik Pro are just like hits in Google Analytics. They are users’ interactions like pageviews, events, downloads etc. Piwik Pro register number of actions recorded for your website each month. Piwik Pro defines traffic as the total number of actions recorded for your website in a month. Piwik Pro calculates your monthly payment for Piwik Cloud on the basis of your last month traffic. Piwik pro business plan starts with 2 million actions and will cost you $625 per month. This is your starting price for using Piwik Pro business plan. If you want to record more than 2 million actions per month then you need to use their enterprise plan. The cost for tracking 10 million actions per month would be around $1300 per month. Depending on the number of modules of Piwik PRO Analytics Suite that the client is buying the price is negotiable. They also give discounts to NGOs. In order to record 10 million or more hits per month in GA, you would need to use Google Analytics 360 which would cost you around $12,500 per month. So i would say, using Piwik Pro Enterprise solution is still a bargain in comparison to GA 360. 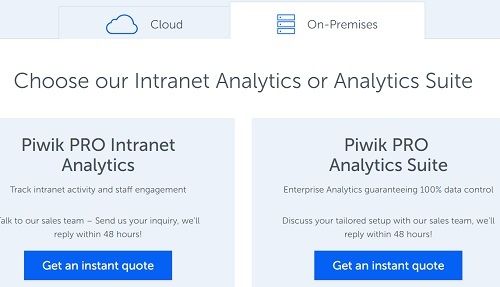 Use this service if you want to store all of the analytics data on your web server but you need deployment, customization and maintenance support from Piwik Pro on a ongoing basis. Piwik Pro on-Premises is ideal for Government, Financial and Educational institutions where data privacy and ownership is of great concern. The pricing for Piwik Pro On-premises service depends upon your requirements and infrastructure.